If you’re missing a few teeth or even just one tooth, then you probably know how difficult it is to bite and chew food. In addition, your appearance is affected in a negative way too. We should also highlight the fact that adjacent teeth can be put at risk due to the gap left by the missing tooth. This is where dental implants come into play. According to the latest statistics, dental implant treatments are among the dental procedures that have the highest rates of success, at least when it comes to dental restoration. 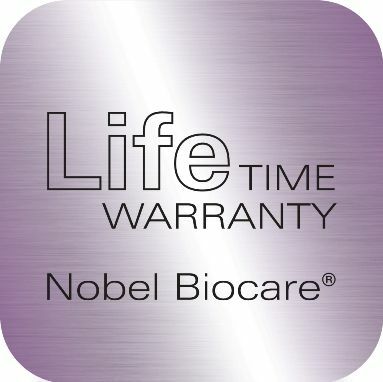 Here at Allen House Dental, we use the NobelActive Implant System from market leaders Nobel Biocare. NobelActive is truly an implant like no other. No matter if you’re dealing with soft bone, extraction sockets, or the aesthetic region, you can benefit from its high primary stability. This makes NobelActive a suitable choice for demanding indications and protocols, such as immediate implant placement and Immediate Function. These features help to achieve high primary stability in demanding situations, such as soft bone or extraction sockets. 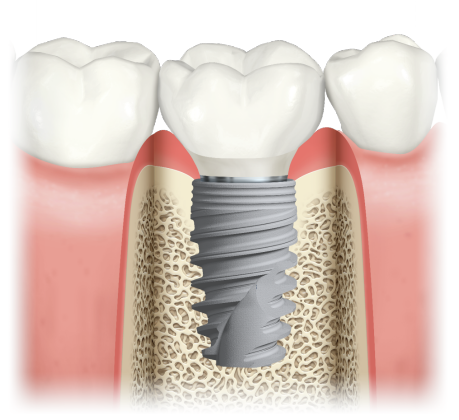 NobelActive enables immediate implant placement and Immediate Function where it might otherwise be challenging. In the end, it’s all about the final result. NobelActive’s back-tapered coronal design and built-in platform shifting are designed to optimize bone and soft tissue volume for natural-looking aesthetics. 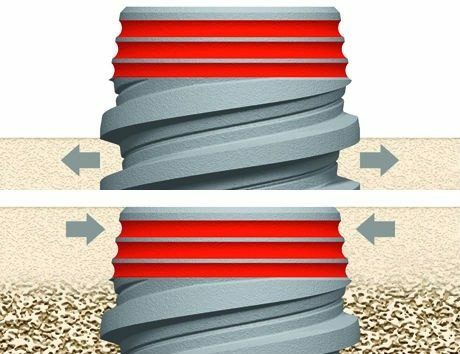 Reverse-cutting flutes with drilling blades on the apex enable experienced clinicians to adjust the implant position during the placement for an optimized restorative orientation, particularly when working in extraction sites. You can now also benefit from NobelActive’s unique design in the posterior region. The new Wide Platform (WP) implant is specifically designed for posterior cases that require a wider base. It helps create a natural-looking emergence profile for the molar crown, and its shorter implant body (7mm) helps to avoid critical anatomical structures. This type of cosmetic dentistry provides a proven and permanent solution to one or more missing teeth. With the help of the implant procedure, patients are getting artificial, custom-made teeth attached to an anchor post which is surgically placed into the jaw bone. 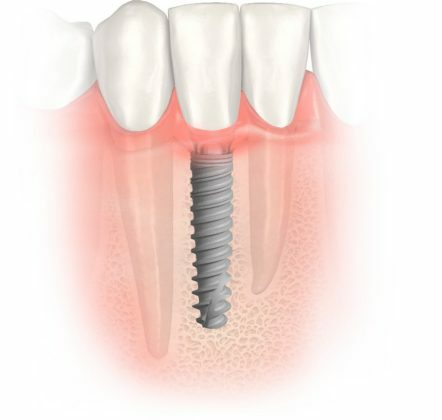 Dental implants represent long-lasting, natural-looking solution for missing teeth. Additionally, they also feel and work like natural teeth. In case you are missing a tooth or a few teeth, you should know that dental implants from Allen House Dental can bring back your natural ability to smile, bite and chew. At Allen House Dental, we have a team of experienced dentists who can easily evaluate your current situation and come up with a treatment plan tailored to your needs. It’s crucial to take all the treatment options you have into consideration whenever you are planning an invasive dental treatment. Thanks to our experience, knowledge, and expertise, we are able to give the right advice to all our patients. After your first visit, our dentist will assess the jaw bone and gum condition. We must do this in order to check the overall health of your oral cavity because not every patient is a suitable candidate for dental implants. The good news is that most patients are good candidates. Dental implants at Allen House Dental are reasonably priced. At our dental office, we are well-aware of the fact that affordability and quality are important to our clients. Allen House Dental is the best option you have whenever you need high-quality, affordable dental implants treatment. Our dental implant treatments are available at 0% finance. Feel free to get in touch with our team right away via phone or email and book an implant consultation whenever you are ready. You can send us an email at info@allenhousedental.co.uk, call us on 01270 581024 or drop us a line on our Facebook page.